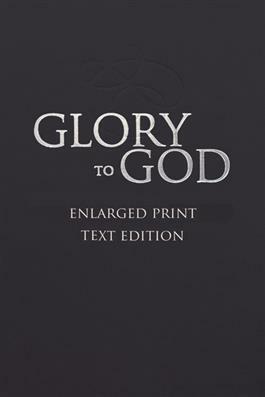 This pew-sized edition of the hymnal contains all the words from the pew edition, enlarged in a more-readable type and bound for use in worship. Also ideal for those using the hymnal as a devotional or study resource. Contains no music. 6 1/4" by 9 1/4". Approximately 1 1/2 inches think and 2 pounds, five ounces in weight. Black cover.